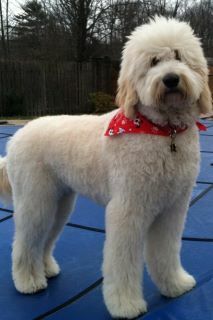 Welcome to Jersey Shore Doodles, a breeder of Mini Goldendoodles located near Long Beach Island, NJ just minutes from the Atlantic Ocean. 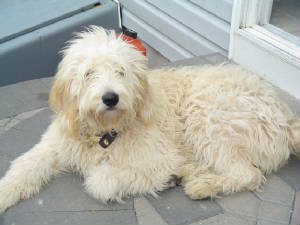 We have also started breeding mini Australian Labradoodles. 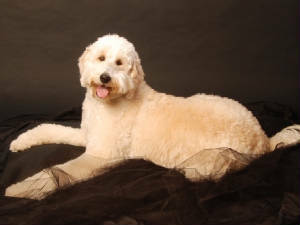 As a breeder, we take great pride in the puppies that we have to offer. 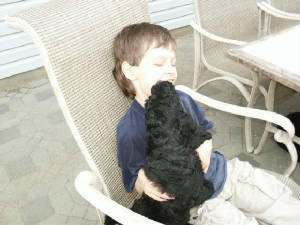 Our puppies are socialized from day one in a home with children that gives each and every puppy nothing but love. The children are an important part of the puppies daily socialization. 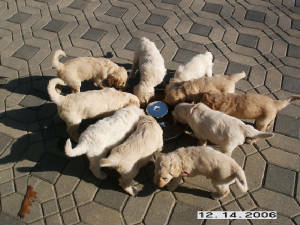 It is a hands-on enviroment for the puppies, which is the best way to start the socialization process. 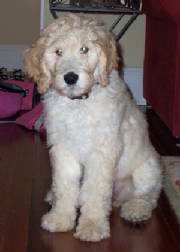 Our Goldendoodle puppies have great dispositions, temperment and are family friendly. We care for each of our dogs as if they were our children. We feel it is important that our dogs know they are part of our family. They are introduced to many different sounds, animals and people. 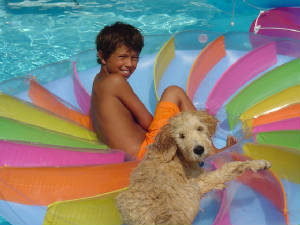 We want to provide you with a puppy who is ready and willing to be a loving part of your family. We never want our puppies to be afraid or shy. When our puppies leave for their new homes they are well socialized and very eager to please you. I WANT TO KISS THIS BOY! Rob & Roxie relaxing in the pool.